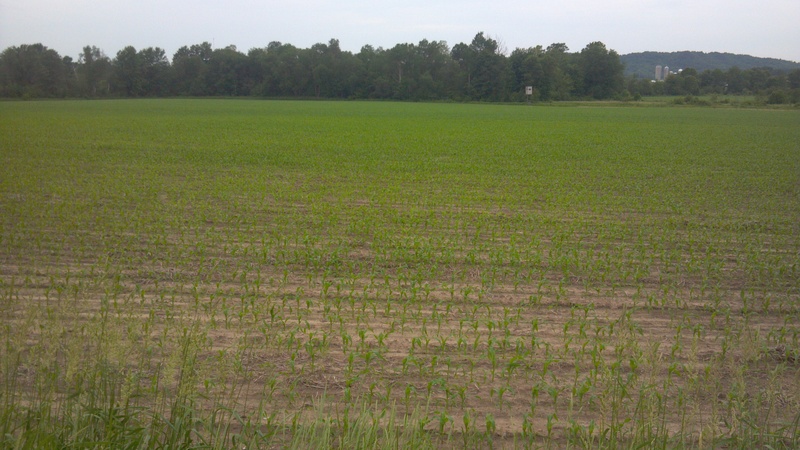 Almost all fields have at least one or to drowned out sections. 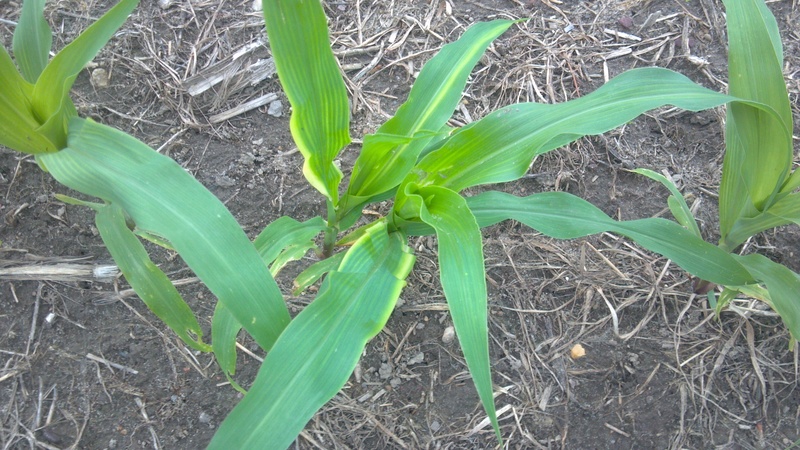 Corn showing some nutrient deficiencies (poor spacing isn’t helping these two) Not exactly sure what is going on, probably nitrogen plus zinc or magnesium. Our agronomist has some tissue samples going in to find out what for sure. 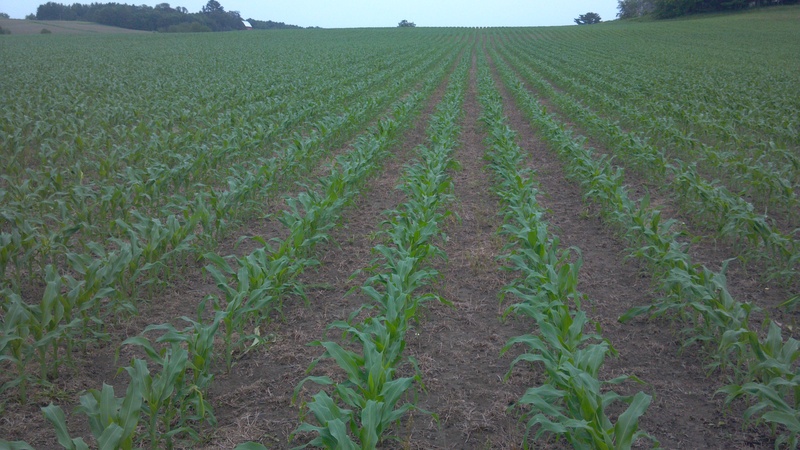 Most likely with the amount of rain that we are getting is just flushing the nutrients out of the soil. Had to find at least one ok place to get a picture. 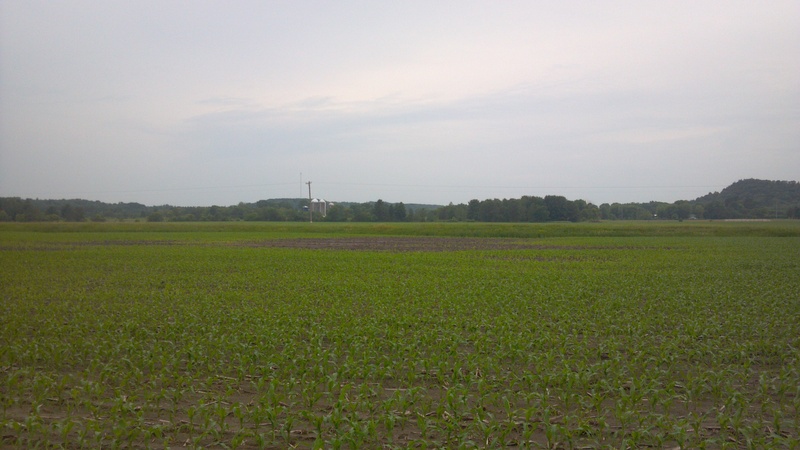 It is a little bit depressing to look around our fields. 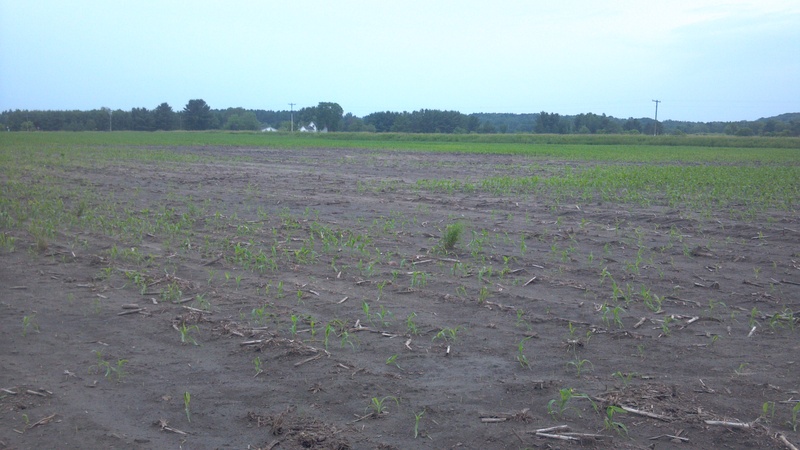 We still have a few acres that we have never got planted, and have replanted parts of some fields. Theo and I head to Chicago tomorrow for a few days to meet with our peer group. Always nice to meet with progressive successful farmers to help encourage and educate us. Looking forward to it! This entry was posted in Agronomy, General Information and tagged agriculture, agronomy, corn, dairy farming, dairy farming today, factory farming, family farm, family farming, farmer, farmers, farming, food production, Modern Agricuture, modern farming, organic farming, production agriculture, sustainable agriculture, sustainable agricuture, Wisconsin dairy farming. Bookmark the permalink.